Attempt & Conspiracy for Health Care Fraud - Oberheiden, P.C. There may be no more powerful tool in the federal prosecutorial arsenal than the conspiracy charge. Federal conspiracy law empowers prosecutors to charge defendants with a felony even if the underlying crime is never actually committed — or is committed without the defendant knowing it happened. People have been convicted on conspiracy counts for playing roles so distant and minor that, to most reasonable people, the “conspiracy” conduct doesn’t seem like an offense at all. Yet these defendants can still go to prison…sometimes for much longer than the person who does the “dirty work” of the crime (such as in controlled substance cases, where mandatory minimum sentences can apply). We’re talking about conspiracy charges today as part of our series on the most common federal criminal statutes used against doctors, nurses, medical executives, and other health care professionals. Title 18, Section 1349 of the United States Code (18 USC 1349) is the primary federal conspiracy statute for fraud. It also covers attempted crimes, where a defendant is charged for committing the underlying crime even if they aren’t successful in pulling it off. It is a broad and complex law with an ocean of court rulings dictating how it gets applied. Federal agents love to use 18 USC 1349 in health care fraud cases. It’s probably the single most intimidating statute for medical professionals in the United States. It is not uncommon for innocent people to be unfairly or excessively charged on a count of conspiracy or attempt. In fact, prosecutors are known to use 18 USC 1349 as a leverage tactic for negotiating plea deals even in cases where they know a jury would be unlikely to convict. At the outset, it is important to note that 18 USC 1349 is not the only attempt or conspiracy law that is relevant to a potential criminal case in the health care setting. Many different state and federal laws address these “inchoate offenses” (i.e., “incomplete crimes”). As a general principle, the essence of a conspiracy charge is simply that two or more people come together (or mutually agree) to do something illegal. In health care cases, that illegal conduct could be making a false representation to the government (e.g., the Centers for Medicare & Medicaid Services) or a private insurance company. Or it could be the unlawful possession, prescription, or distribution of a controlled substance (among other things). Reading that definition, you might think conspiracy only applies when you talk clearly and directly to another person and the two of you decide to knowingly commit a crime together. But conspiracy law has been consistently expanded over the years, especially at the federal level. The defendant knew very few details about the overall plan. The defendant has never communicated with most of the other “co-conspirators” and/or doesn’t even know they exist. The defendant’s involvement in the alleged “conspiracy” is so small and so far removed from the illegal conduct that the defendant is truly shocked and horrified to find themselves roped into a conspiracy case. The act of agreeing is what gets you convicted for conspiracy. These general principles are true in almost any medical conspiracy case, whether prosecutors invoke 18 USC 1349 or some other statute. But because 1349 is one of the most commonly used sections in health care cases, it’s helpful to understand exactly what it says. In other words, under 1349, the penalties for attempting or conspiring to commit fraud are the same as the penalties for actually committing fraud (even if the fraud itself never happens). In any fraud case, the situation can proceed from civil to criminal — and from minor to major — more quickly than you might realize. In fact, if a federal auditor or agent is currently investigating invoices from your medical practice, they may very well be building a case against you right now, whether you realize it or not. At the very least, you should be aware of the potentiality for a criminal case to arise out of any audit or billing disagreement. The best defense against an attempt or conspiracy charge is prevention, and so we recommend that you consult with an experienced health care criminal defense firm for advice on best practices and strategies. A lawyer can even help you negotiate with agents or CMS contractors during an initial audit to minimize your potential exposure to criminal liability. If you are already facing criminal charges under 18 USC 1349, you should contact a health care criminal defense attorney urgently. There are a number of defenses available — most notably on the questions of intent and of your knowledge about (and/or agreement to participate in) an alleged conspiracy. But the stakes are high, time is sensitive, and you should anticipate that the government will act you against you aggressively. Don’t take a gamble. At Oberheiden, P.C., we offer free and confidential consultations for health care professionals who might be facing civil enforcement proceedings or criminal charges. Our health care criminal defense attorneys are here to answer your questions and give you the careful, strategic attention you deserve. Please contact us online or call (888) 727-0472 right away. This information has been prepared for informational purposes only and does not constitute legal advice. This information may constitute attorney advertising in some jurisdictions. Merely reading this information does not create an attorney-client relationship. Prior results do not guarantee a similar outcome for any matter in the future, every case is different. Oberheiden, P.C. is a Texas firm with its headquarters in Dallas. Mr. Oberheiden limits his practice to federal law. Primary Office in Dallas, TX. Dallas Criminal Defense for Doctors. How the False Claims Act Applies to Mobile Radiology Services Fraud Own a Mobile Medical Lab? 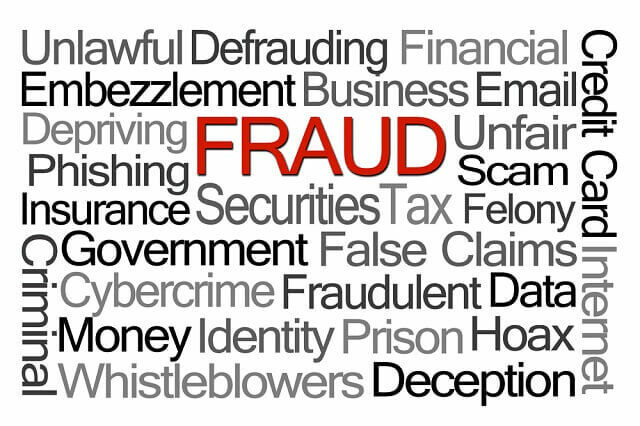 Get Ready for Federal Fraud Investigators.